KIM LAWTON: It was Easter Sunday 2011. Joel and Cheryl Seay and their family had just finished a big holiday dinner in their Philadelphia home when there was a knock at the front door. A group of young men asked for the Seays’ 18-year-old son Jarell in an apparent misunderstanding. Jarell talked to them a few minutes, then, as Joel watched, his son turned to go back in the house. JOEL SEAY (Jarell Christopher Seay Love and Laughter Foundation): Next thing you know I saw, I see a gun coming around and I heard two shots, bam, bam. It happened so fast. I go over it all the time in my mind. What could I have done to save my baby boy? LAWTON: But Jarell couldn’t be saved. The Seays were devastated. They say it was their Baptist faith that pulled them through. JOEL SEAY: I don’t know what just happened but I’m going trust God, and from the moment I said that I was going trust God, it seemed like God intervened into our lives. 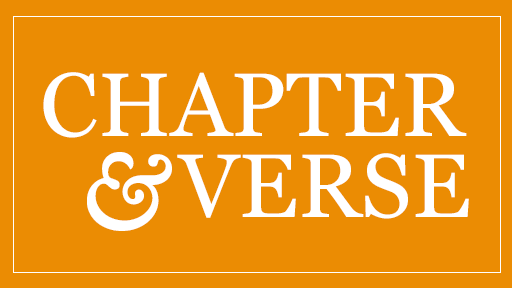 CHERYL SEAY (Jarell Christopher Seay Love and Laughter Foundation): It never goes away. But you have to take that pain and turn it into something positive or else you will die. 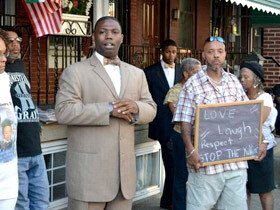 LAWTON: The Seays established the Jarell Christopher Seay Love and Laughter Foundation to combat gun violence. JOEL SEAY: Kids are dying every day in the city of Philadelphia, and people need to come together and stop the violence. We need to pray for these children. We need to get these children the help that they need and as parents, you know, we would not want anybody to feel what we felt. LAWTON: While the Sandy Hook massacre that killed 20 school children horrified the nation, more than twice as many children and teens are killed by guns every week. REV. JIM ATWOOD: Kids are not to be shot whether they're in the city, whether they're in a rural area, wherever they are. Human beings are not to be killed. LAWTON: Retired Presbyterian Pastor Jim Atwood travels around the country urging religious congregations to get involved. He’s part of a growing faith-based movement that is ramping up efforts to support new restrictions on buying and owning guns. REV. JIM ATWOOD (Author, America and Its Guns: A Theological Expose): People in the churches, in the faith communities, are talking about the issue as they have never talked about it before. We have a movement today, we’ve never had a real, broad based, focused movement before, but we’ve got it now. LAWTON: But the movement faces strong opposition, including from other people of faith, such as longtime gun rights lobbyist John Snyder. JOHN SNYDER (Gun Rights Policies): I’m not criticizing their intentions. These people may very well be very well meaning—simply do not know what they are talking about because it is necessary to be able to use force, to be able to combat evil on the personal level and on the social level. Pastor: Every child is God's way of saying "I believe in you." Hope. Keep the faith. LAWTON: Still, people from across faith traditions have been joining the cause. The nonprofit Children’s Defense Fund has made gun violence against young people one of its top priorities. The group urged its local partners to sponsor interfaith Children’s Sabbath services focused on the issue. This Sabbath took place in Philadelphia, where the African-American community has been particularly hard hit. One of the participants was Dorothy Johnson-Speight. She founded an anti-gun violence group called Mothers in Charge after her 24-year-old son Khaaliq was shot to death in 2001 during an argument over a parking spot. DOROTHY JOHNSON-SPEIGHT (Mothers in Charge): There needs to be more outrage about what is happening. You know, everybody needs to be involved. LAWTON: Heeding God’s Call, is a national interfaith group that urges public action to prevent gun violence. Many in the movement are lobbying for what they call “common sense” new restrictions, such as more rigorous background checks before gun sales and banning military-style assault weapons. Pastor Atwood says they aren’t trying to take away all guns. He’s been hunting since he was 22. REV. JIM ATWOOD: I like to get out in the woods, I enjoy hunting, I enjoy watching wildlife, and if a deer comes along, my heart pumps, I get excited, and I love venison, and I always eat what I shoot. LAWTON: In the 1970s, Atwood and his wife went to Japan as missionaries. He brought a rifle, hoping to do some hunting there. The authorities confiscated the gun and wouldn’t return it until he got a statement from a doctor, took a safety course and purchased two licenses. REV. JIM ATWOOD: The regulations, or the loopholes, that I had to go through to get my gun back in Japan, first irritated me, but then I realized that I was reading no articles in the papers about gun deaths because they just did not have them. LAWTON: Atwood became an activist on the issue when he returned to the US and saw the large numbers of people killed by guns, including one of his church members. He wrote a book called America and its Guns: A Theological Expose. Atwood believes some American support for gun ownership rises to the level of idolatry, something he says violates basic religious teachings. REV. ATWOOD: Every single person is regarded as a child of God, every one of us is born in the image of God. All the religions of the world declare that we are all neighbors; each of us is a brother or sister in God’s family. 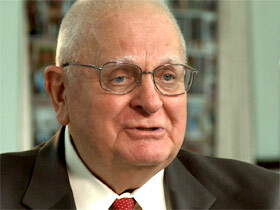 LAWTON: But John Snyder, a committed Catholic, cites theology as the basis for his opposition to gun control. He takes his inspiration from Saint Gabriel Possenti, a 19th century Italian seminarian who used fire arms to rescue villagers from a gang of cutthroats. JOHN SNYDER: People should realize that you know when you turn the other cheek and somebody hits you on that maybe then it’s time to wop ‘em. LAWTON: Snyder argues that the constitutional right to bear arms guards all American freedoms, including religious freedom. 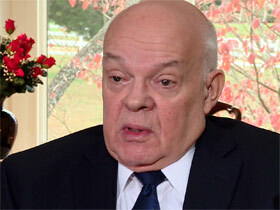 JOHN SNYDER: I like to say the Second Amendment is the linchpin of rights. Without the Second Amendment, and the ability to use guns, and the ability to use force to protect the other civil rights we have, we can never feel free. REV. ATWOOD: I as an individual, and you as an individual, have a right to live in a society which is free from gun violence; that’s a constitutional right. You have a right to life, liberty and happiness. You have a right to live in domestic tranquility, as our Constitution declares in the Preamble. LAWTON: Many in the movement believe solutions need to go beyond legislation. 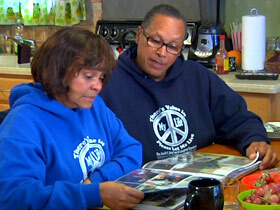 Cheryl and Joel Seay want the foundation in their son Jarell's memory to promote positive alternatives to violence. CHERYL SEAY: It’s going to be unifying families, connecting communities, while protecting our children through gun education, safety, and prevention. JOEL SEAY: We’re going to forgive these boys that killed our son. That way we won’t be held down with the evil and trying to revenge somebody or take something back. We already gave that to God, God will handle this. So now we have to go out and save some children, in love and in laughter ‘cause that’s what we got from Jarell is love and laughter. 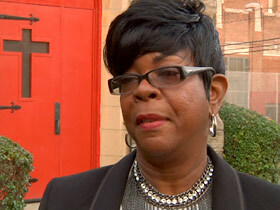 LAWTON: Johnson-Speight urges all people of faith to consider what they can do. DOROTHY JOHNSON-SPEIGHT: They think that the issue is so overwhelming that maybe they’re sitting back wondering what to do, instead of trying to just roll up their sleeves and find a way to get involved. JOEL SEAY: This is a very, very, very important issue. You know? Your child could be next. Your mother, your father, your sister, somebody that you love dearly could be next. LAWTON: And despite the challenges, many in the faith community say they will continue working so that doesn’t happen. I’m Kim Lawton in Philadelphia. While the Sandy Hook school massacre in Newtown, Connecticut horrified the nation last year, every month even more children are killed by guns. 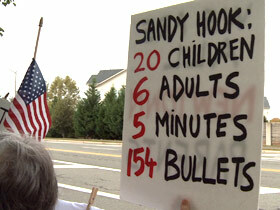 Since Newtown, some faith leaders and religious groups have supported new gun restrictions. Others have advocated a need both to use force and to have the guns to do so.